DUTY, MARGIE ANNETTE HAWKINS (1922–2001). Margie Annette Hawkins Duty, the first female African American to be employed as a police officer in Houston, was born in Jennings, Jefferson Davis Parish, Louisiana, to Robert Hawkins and Alice Hawkins on August 28, 1922. She had two sisters and two brothers. Ellington Air Force Base Sign. Image available on the Internet and included in accordance with Title 17 U.S.C. Section 107. Margie married Nathaniel Duty, also a Louisiana native, in Shreveport in December 1945. In January 1946 Nathaniel reenlisted in the United States Army Air Forces in Shreveport; he was promoted to staff sergeant. Margie worked in Shreveport as a cashier. Later the couple moved to Houston, where Nathaniel was stationed at Ellington Air Force Base. After retiring from the military, Nathaniel worked at NASA. Initially, Margie took a job in the office of the Houston Housing Authority. The couple had no children. Police Chief Morrison. Image available on the Internet and included in accordance with Title 17 U.S.C. Section 107. One of Margie Duty’s work assignments was to interview young black female crime victims, some of whom had been raped. She also was responsible for black (and only black) female inmates. In a gruesome case in July 1955, Officer Duty was involved in the investigation of a case in which a two-year-old girl (who was left unsupervised for a few minutes) beat a five-month-old baby girl to death with a large perfume bottle, a baby’s milk bottle, and a stick. During the first twenty-three years of Duty’s law-enforcement career, she worked as a plainclothes officer in the juvenile division. In later years, she transferred to the jail division and worked there as a uniformed officer. Margie Duty’s goddaughter, Cynthia Larkin, remembered her as a petite, feisty lady. Jones Memorial United Methodist Church. Image available on the Internet and included in accordance with Title 17 U.S.C. Section 107. Houston Police Department Logo. Image available on the Internet and included in accordance with Title 17 U.S.C. Section 107. Margie Duty retired in late August 1986, one day after her sixty-fourth birthday. She had served for more than thirty-three years. In an interview at the end of her career, Margie on her role as a pioneer said: “I didn’t even think about that portion [being the first black woman in the department]. I was interested in a job. I believed I could give them a service. And that was my purpose in applying for the job.” She did not think of herself as a trailblazer. Margie Duty died on April 23, 2001, at seventy-eight years of age. Her funeral was held at the Jones Memorial United Methodist Church in Houston where she and her husband had been members for nearly half a century.. As the wife of Nathaniel Duty, who had served in the United States Air Force in World War II, the Korean War, and the Vietnam War, her interment was in the Houston National Cemetery. Dallas Morning News, September 1, 1986. Greely (Colorado) Tribune, July 13, 1955. Houston Chronicle, April 26, 2001. Regina Jones, “Women in Law Enforcement,” Crisis, August–September 1991. Cynthia Larkin (Nathaniel and Margie Duty’s goddaughter and Nathaniel Duty’s legal guardian), Telephone interview by the author, February 27, 2013. Neil Gary Sapper, A Survey of the History of the Black People of Texas, 1930–1954 (Lubbock: Texas Tech University, Aug.1972). May Walker, The History of Black Police Officers in the Houston Police Department (Dallas: Taylor Publishing Co., 1988). Dwight Watson, Race and the Houston Police Department, 1930-1990: A Change Did Come (College Station: Texas A&M University Press, 2005). 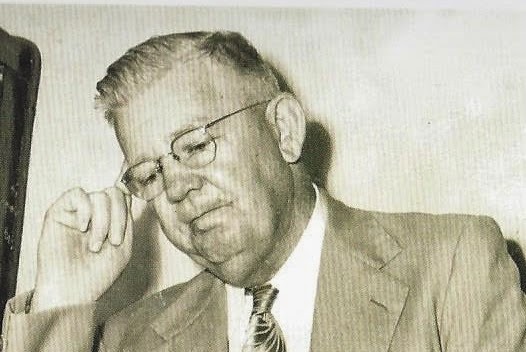 Handbook of Texas Online, Robert J. Duncan , "DUTY, MARGIE ANNETTE HAWKINS," accessed April 18, 2019, http://www.tshaonline.org/handbook/online/articles/fdu76. Uploaded on June 13, 2013. Modified on February 16, 2017. Published by the Texas State Historical Association.